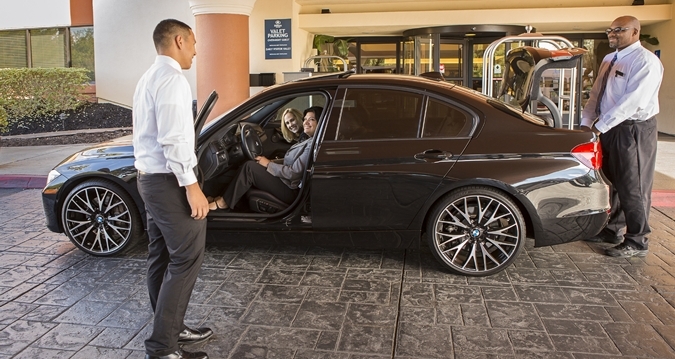 Valet parking service for your automobile has become the norm in today's lodging experience. If you are interested in obtaining a valet parking service for your hotel or an event at your hotel feel free to contact Temecula Valley Valet today. Having a convention? Is business clientele booming? Hire TVV to offer your corporate professional a comfortable stay as they pull up to your front door. Give the recurring business guest complimentary service as a thank you for the many nights they have stayed at your hotel.